Today I feel much better than I felt yesterday. I have had a bit of what I would call Fibromyalgia pain that I know it is from inflamation but it is not severe. My weight did not change but from what I understand people do not generally lose weight on the whole food detox. I have decided that I probably will not do the 5 days of smoothies after having one yesterday. I am much more of a juice person so after this 5 days I will go right to juicing only. I also realized that the reason I was not hungry for lunch yesterday was because I ate too much for breakfast. So today I cut the soaked oats to 1/4 of the recipe and felt much better. I said on day 1 I was not going to stress over the little things and here is an example. I got everything ready for juicing this morning and forgot to juice my lemon first for the lemon water and just juiced everything. That being said I didn’t have my lemon water this morning. I have been also doing a detox bath each night which is suggested in the detox. I use a cup of epsom salt and try to soak for 30 minutes. You can also add baking soda and/or some powdered ginger which I have done. It will make you sweat. Snack: Juiced 1 orange, 1/2 lemon and grapefruit, I don’t like grapefruit but tried it. Still don’t like it but I could change it to 1/4 grapefruit. It did fill me up. 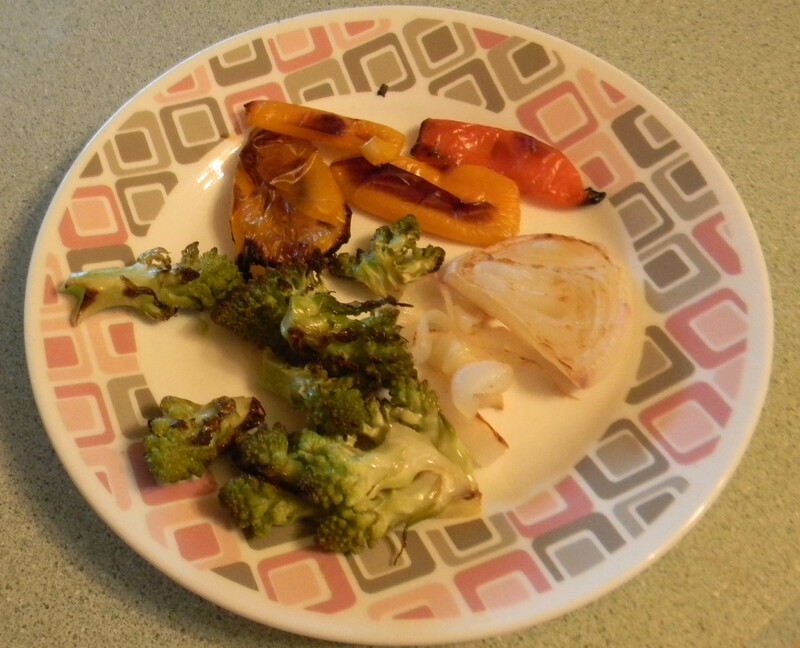 Dinner: baked cauliflower, onions and small peppers (red, yellow and orange). The onion was from my garden and it was sweet as were the peppers. Maybe my taste buds are changing? Juice – 1/2 pear, 1 apple, 1/4 piece of pineapple and 1/4 mango, boy was it good. Couple of raw cashews and they were good! I purchased these from my local health food store. I did not soak these. This entry was posted in Daily Life, Detox, Medical, Posts and tagged Day 3 Detox, Fitlife.tv detox, Whole food detox. Bookmark the permalink.